Whether you are frugal or just up for adventure, there is something special about car camping. A lot of the time, it’s just convenient and in some places it is the best way to wake up to the most awe-inspiring surroundings. If you’ve ever visited Yosemite, then you know that car camping beats staying outside the park in the hotel every single time. But, you don’t have to be in Yosemite to make car camping your preferred lodging style. 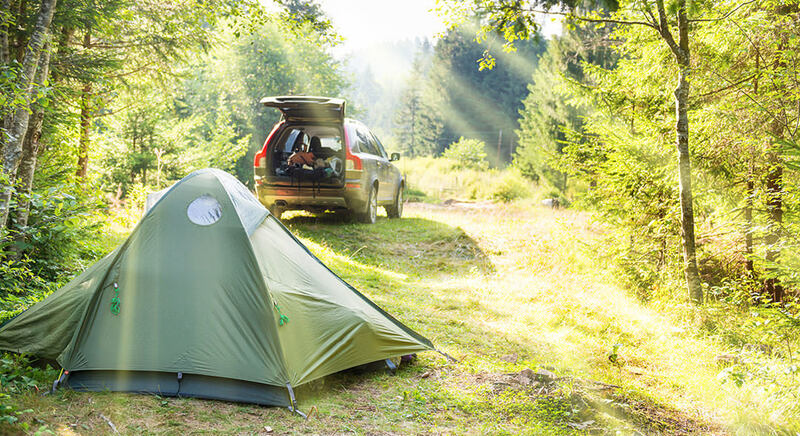 So, if you’re looking for ways to make the most out of your car camping experience, we’ve compiled what we here at Active Weekender think are the most essential items to add to your car camping checklist. We don’t advise that you actually sleep in the car unless you’ve got a sweet campervan or Sprinter van – instead, get yourself a tent that is big enough for the number of people that you’re traveling with. When shopping for tents, you will notice that they tend to be listed by the number of people that can comfortable fit inside – so you’ll see things like a four-person tent or a six-person tent and so on. Here’s a tip – choose one that is for more people that you intend to have inside of it. This gives you a little more room to move around and get dressed without knocking elbows with your tent mates the entire time. And if anyone in your group moves around a lot in their sleep, then you will really be thankful for the extra room! 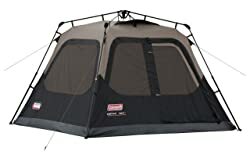 The great thing about car camping is that it’s cheap, and often cheap gear is good enough – like the popular Coleman Sundome tent at Amazon. It’s a good cheap tent that is made well enough for car camping, but we prefer something with a little better design and weather protection. The Coleman 4-Person Instant Cabin Tent is perfect for two people who want some extra space inside their tent, or a small family. It is large enough to fit a queen size airbed and setup is so easy that it takes less than five minutes! The floors and seams are designed to keep water out if it rains, and there is also a vented rainfly included with this one. And it’s affordable price is good for campers on a budget. Since our favorite tent is large enough to accommodate a queen air bed, you can certainly get one of those for your car camping adventures. However, we find that a comfortable sleeping pad works just as well, if not better. You’ll find sleeping pads in a variety of sizes, shapes and prices. You can go with a single-person sleeping pad or a double one for couples. Amazon carries a lot of these, but we find that the best selection comes from REI. So, if you don’t sleep well on the lumpy, bumpy ground, we suggest a good sleep pad to go under your sleeping bag for a good night’s rest. The Therm-a-Rest NeoAir XTherm Sleeping Pad is definitely a great choice. It is a four-season sleeping pad, so you should be able to use it all year long whether it is cold or warm outside. At 2.5-inches thick, it is very comfortable – even for side sleepers like me! And I love how quiet it is compared to using an air bed. Plus, it is lightweight and compact for storage and transport. You can find a lot of different variety when it comes to sleeping bags – do you want the zipper on the right or the left? do you need it in a sleeping pod mummy style or not? do you want a single person or two-person sleeping bag? do you need it to be really warm or cool for summer temperatures? Overall, we think that a good three-season sleeping bag is the best choice for you cause it is very versatile and works in temperatures as low as 10 degrees Fahrenheit. And honestly, who wants to go car camping when it’s colder than that? The Kelty Cosmic Down 20-Degree Sleeping Bag is our top pick for the best three season sleeping bag for the money. As you can see from the photo, this one is a mummy style sleeping bag. The DriDown filler keeps you both warm and dry – even if water happens to get into your tent, this bag will keep you dry all night long. It is very durable and even comes with a stuff stack! There is also a 16-degree version at a similar price, if you want something just a wee bit warmer. When most people think about camping stoves, I bet they picture one of those old Coleman stoves that takes the little fuel canisters. Well, though you can still buy that type of old school stove, there are some much better options available these days. Here at Active Weekender, we think a good camp stove is one that works well without being heavy or clunky – you definitely don’t want something that takes up a lot of space. With that in mind, we’ve moved on from those Coleman stoves to something that works a lot better at a fraction of the cost (in our opinion). 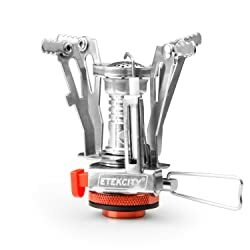 The Etekcity Ultralight Portable Outdoor Backpacking Camping Stove is our number one pick. It has a Piezo ignition and it is butane/butane propane canister compatible. And did we mention that it is ultra-lightweight and small enough to fit in your pocket? This thing is truly amazing. It collapses for storage and transport but is strong enough to support a pan full of water. And it heats up fast – boil a liter of water in just 3.5 minutes. The fuel efficient flame stays consistent even when you are changing the settings. Once you try this, you will never go back to an old school camp stove. Now that you’ve got a camp stove, you’ll need a cookware set for all those yummy camp meals. We suggest looking for a nesting cookware set so that it doesn’t take up a lot of space – especially if you think you’ll end up using it for backpacking trips. Most camp cookware is designed for two people, so keep that in mind you’re taking out the family or camping with friends. With that in mind, we’ve selected our favorite set for two campers. But if you’re still shopping, we suggest REI as we think they have the best selection. The GSI Outdoors Pinnacle Dualist Ultralight Cookset seems to offer the most bang for the buck. With it, you get two insulated mugs with lids, a 1.8-liter cookpot with a strainer lid, two bowls, a welded sink, two sporks and a stove bag. The only complaint with this set is that the sporks are kind of crappy. So, get yourself a couple of new sporks and add them to this set and you’ve got the perfect car camping cookware set. I used to always laugh when I saw someone wearing one of these, cause let’s face it, you kind of look ridiculous with a headlamp on, right? But here’s the thing – headlamps are one of the best things to take with you on camping trips. The uses for them are really endless – you can use them for reading at night, for a less treacherous walk when you need a potty break at night, investigating odd noises at night, to help with tent setup in the dark, and so much more. Plus, these things are super cheap. Our favorite model below is very cheap! When choosing a headlamp, definitely go with an LED model for longer burn time. 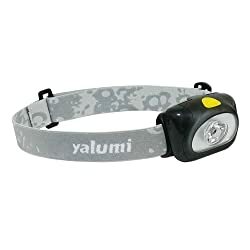 The Eyalumi Spark headlamp is our favorite headlamp for car camping – we even prefer it to the Petzl models. With this one, you get 18.7 hours of total burn time, with 9.5 hours available at the brightest light output. It does run on three AAA batteries, which are included with the headlamp at purchase. The strap is adjustable, which means that it fits adults as well as children. While you may want to pull up old logs or take a seat on a tree stump, the fact is that camp chairs are the best way to relax in camp at the end of a long day. There are a few different designs available on the market, but we find that the Helinox camp chair offers the most comfort for the money. The cost is similar to that of the traditional camp chairs, but the comfortable level is much better. And this type of chair also collapses for easy and compact storage and transport. The Big Agnes Helinox Chair One Camp Chair is truly the best camp chair for the money. It offers you much more comfort than the other brands and models and can support up to 320 pounds. It is lightweight but strong and durable. And this breathable mesh chair comes with its own carrying bag. If you’re familiar with Helinox trekking poles and tent poles, then you already know what to expect from this type of quality camping gear. At the end of a grueling day, your body will thank you for choosing this chair. If you’re at a National Park or other type of camp ground, then there is a pretty good chance that you’ll have access to a shower house. But, if you’re the type of camper who pulls over whenever there is a good spot or who does some backcountry camping, then taking along your own camp shower might be of interest to you. I know what you’re thinking – this isn’t really a necessity. That’s true, but some campers just can’t fathom going without showers. If you’re one of those campers, then we got you. We’ve checked out all the options and picked our favorite portable camping shower – it will be a true camping luxury, except that it only gives you about 5 minutes of water pressure. 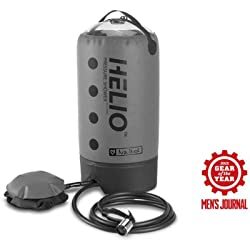 The Nemo HelioTM Pressure Shower is as good as it gets when it comes to portable camping showers. The best thing about it is that you actually get decent water pressure from it – not at all weak like those that require gravity to push the water out. However, there is a downside – you only get between five and seven minutes of water pressure from this thing. The tank holds 11 liters of water and the foot pump makes it easy to keep constant water pressure action happening while you shower. It weighs close to 2 pounds when it is empty and the only way to heat the water is to sit the tank out in the sun. But even after all that, it is a nice luxury to have with you out there. There are a lot of other things that you can include on your car camping pack list, we be think that the eight items listed above are the definite must-haves when planning your next car camping adventure. 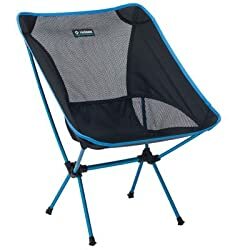 Other things that might want take with you include a multi-tool, a hammock, some games, a portable table, a coffee French press and a portable grill. But above all, have fun out there!